The region's leading smart and sustainable cities event to be held late October 2019 in Cairo, Egypt. The two day exhibition and conference brings together over 4,000 senior level decision makers and over 6,000 participants to discuss and showcase the latest technologies, sustainable solutions and products as well as best practices on managing and building the cities of tomorrow. Smart cities are one of the biggest growth areas and trends impacting the ICT and real estate sectors today. Driven by the demand for advanced and 'always on' solutions and services, the Middle East is expected to play a leading role. The need to improve existing infrastructure and intelligently maximize current resources is further fueling the need to develop smart cities. Smart cities bring value added benefits to governments and developers by increasing investment returns. While new services built on cutting edge technologies enrich citizens' quality of life. ICEC is backed by industry leaders and is the ideal platform to gain insight on how to generate significant returns by turning your development into an intelligent sustainable city. The conference is dedicated to promoting knowledge sharing and networking opportunities while the exhibition space allows participants to showcase their innovations, technologies and products to key decision makers. The event brings together the most influential consultants, real estate investors, developers, contractors, city planners, technology providers, systems integrators, architects, designers, government and telecom authorities. ICEC is a must attend event for those committed to achieving an urban future by developing smart and sustainable cities. Payment Options: E-payment – Direct Bank Transfer – Indoor Collection. For Egyptians payment can be made in Egyptian Pounds at the Central Bank of Egypt exchange rate. &amp;lt;br /&amp;gt;&lt;br /&gt;<br /> Your browser does not support inline frames or is currently configured not to display inline frames. &amp;lt;br /&amp;gt;&lt;br /&gt;<br /> Your browser does not support inline frames or is currently configured not to display inline frames. Become a sponsor of ICEC 2019 and position yourself as a leader in an important growth area for Egypt and the Middle East. ICEC 2019 brings tangible benefits and bottom line impact for sponsors by ensuring you reach your target audience. 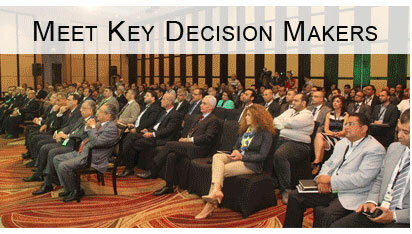 Meet key decision makers and generate quality leads that will really impact your business. Our partnership with industry experts and companies generates strong targeted event traffic to ensure your company is exhibiting to the right target audience. Our partnerships with industry experts give delegates the practical insights to succeed in developing an intelligent sustainable city. While networking opportunities ensure you enhance your network and make important contacts. ICEC 2019 provides an ideal platform to share insight and ideas on shaping the cities of tomorrow. Hundreds of senior level decision makers will come together to network, share ideas and learn about innovative industry trends. You will not only have a chance to present your perspective but also receive valuable feedback and input from fellow industry experts. ICEC 2019 brings practical insights on topics relevant to our attendees. If you’d like to see a particular topic addressed, please contact us with any suggestions or topics that you would like to see addressed in the conference agenda. By being closely associated with ICEC 2019 and becoming one of the event’s exclusive sponsors or exhibitors you will: Expand Your Network – Generate New Leads – Increase Market Exposure – Position Yourself as an Industry Leader – Gain a Competitive Edge. Gain practical insight from respected leaders in the field as they highlight project case studies and best practices to delegates and sponsors. Engage with industry experts as they lead interactive discussions to address pertinent issues and further debate presented topics. To ensure a high-quality environment of senior level decision makers and industry leaders, delegates to ICEC 2019 are pre-qualified and by invitation only. 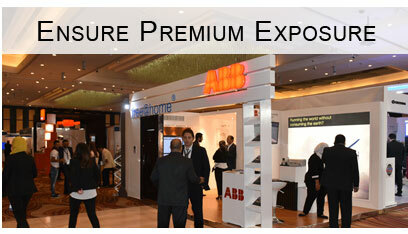 Our open plan exhibition space generates maximum visibility for your company's brand and products. Here attendees will have the opportunity to meet, discuss and discover solutions from companies showcasing leading edge technologies and products. Networking sessions are incorporated in the 2-day event to allow delegates, sponsors and exhibitors to expand their network, increase market exposure and initiate deals and investments on site.